The Bristol-Ferranti "Bloodhound" is the surface to air guided missile system selected by the R.A.F. for defence of the United Kingdom and is now in service with Fighter Command. The "Bloodhound", claimed to have the greatest range of any semi-active homing missile in the Western World, has also been ordered by Sweden and Australia. It is 25 ft. 3 ins. long with boosters and has a span of 9 ft. 4 1.2 ins. Range is 60 miles and speed over Mach. 2. 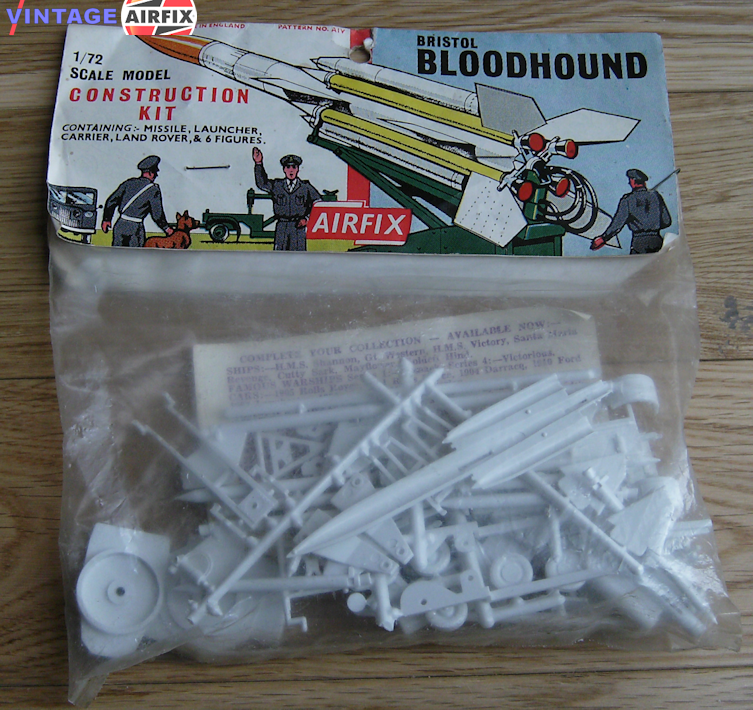 The Airfix model contains not only the missile and its launching but a wheeled carrier, Land Rover and six figures, a total of 64 parts.